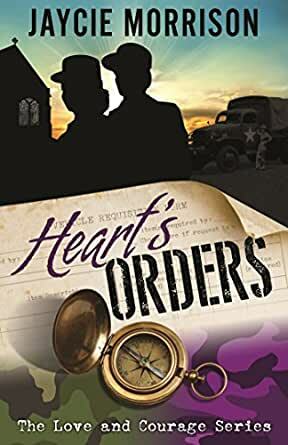 Can the heart’s orders overrule the chain of command? September 1944. Private Helen Tucker has two goals—to drive for the Women’s Army Corps motor pool and to convince Tee Owens to be more than best friends. Helen has always done whatever it takes to survive, and she’s not good at waiting for what she wants. But Private Teresa Owens is a good Baptist girl who’s struggling with how her feelings for Helen can be wrong when she can’t bear to be without her. Sergeant Gale Rains has learned to make her way in both the Sioux and White worlds, but will her love for Bett Smythe put her career in the WAC at risk? Private Elizabeth Smythe hopes Rain will be her future, but is she truly free from her past, including her class-conscious family? I'm loving this series and it's characters. Thank you to it's talented, Author, Jaycie Morrison, for becoming the voice of the trail blazers who have gone before us to be with the women they loved. It takes good writing to make a reader feel a kinship with a books characters and I'm feeling it. True I have a soft spot in my heart for the WAC, as well as the other members of service from this era. It was a photo on a desk in my grandparents house of a relative who served in the WAC, that made me realize, a uniform and that service was meant to be in my future. This was in the 60's, a time when woman and young girls were still being taught that their place was in the kitchen, not the armed forces. I still see the face of the woman in that photo, and remember every word of the story my grandma told me about the first cousin she admired so much for her bravery in taking those first steps across the barriers designed to keep woman as less than equal. The story of Gail Rains, Bett Smythe, Helen Tucker, and Tee Owens is one all woman can relate to, as it was not just the right to love who was in their heart, but, also to be the woman they knew they were put on this earth to be. For that, we owe them a great deal of gratitude. I wish to express that same gratitude to the Author for carrying on the legacy of this time with her words. 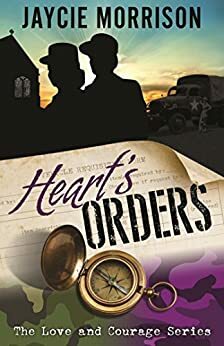 I gave both Novels in this series, Basic Training of the Heart, and Hearts Orders a 5 star review, and look forward to #3 in this series. Those stars serve as my recommendation to both. 5.0 out of 5 starsWAC! I’ll admit, I’m pretty partial to military themed stories and the WWII era is/was my favorite time period to study. Plus I liked the first book in this series and wanted to know more about the characters. The second book was even better than the first and I honestly can’t wait for the third because there is no way there can’t be a third with that cliffhanger. We learn a lot more about Rain and Bett as well as Helen and Tee. If you liked the first one I think you’ll really like the second! Interesting lesbian book, great writer! Helen Tucker wants to drive trucks, it’s her escape and always has been. She also wants Teresa Owens, but that might be harder to achieve as Teresa is an incredibly shy Baptist girl who has secrets she needs to deal with. Helen’s ambitions lead her into dangerous waters with her first posting, but her love for Teresa can help save her from a very dishonourable discharge. Sergeant Rains and Private Elizabeth Smythe both have issues to overcome as they try to establish a life together in a world that doesn’t accept them on many levels. But Smythe has a secret that could destroy them. Following directly on from “Basic Training of the Heart” this is a sweet romance set in the Women’s Army Core in 1942 at the height of WWII. It stands alone perfectly well, although “Basic Training of the Heart” is also an excellent read so why not try both. Jaycie Morrison has captured the mood of an era really well in these novels; the fear of the married women whose husbands are overseas, the attitude of the men who take their place for granted, the hostility of the black ghetto at night, and the determination of the women who have signed up to the WAC to not only do a good job but to forge a place for themselves in the world. The characters are well drawn and each has a journey to take, learning to do. From the platoon being thrown together for basic through to the rivalry and hostility of the sergeants we get to see a wide range of characters all in a very new situation, finding their way in a man’s world and for many the first time they have not only left home but travelled out of state and away from their family. I love this book series. I know these books are just written about our true history, but the way Jaycie writes with so much detail I feel like she’s created an entirely new world. In this book we now get in to Helen/Tee’s POVs as the book begins with their relationship back before Bett and Rain get together. It doesn’t take long for the reader to catch up to the “present” and that's when it it goes back to Bett and Rain as well. I love Bett and Rain and it’s just a really great read to go through these women’s lives.There were even a few surprises that I never saw coming. If you haven’t read the first one, you need to not only for this one to make sense but because this is such a well written series. I can’t wait for the next one!